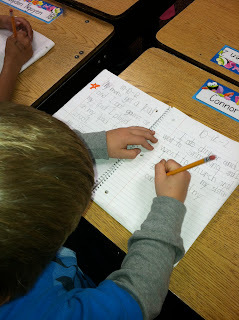 For the last 3 weeks we have been working on building our writing stamina during Daily Five-Work on Writing. As a class our writing stamina is up to 5 minutes. That means that all 21 first grade friends are writing for the entire 5 minutes. Some other writing behaviors that one can observe from our amazing writers are: writing the whole time, get started right away, eyes in their notebook, underline words they do not know how to spell and move on, write about appropriate topics, write the date, use writing tools appropriately and draw a line to begin writing about another topic. Take a peek below at the pictures/videos of my friends practicing their writing stamina. 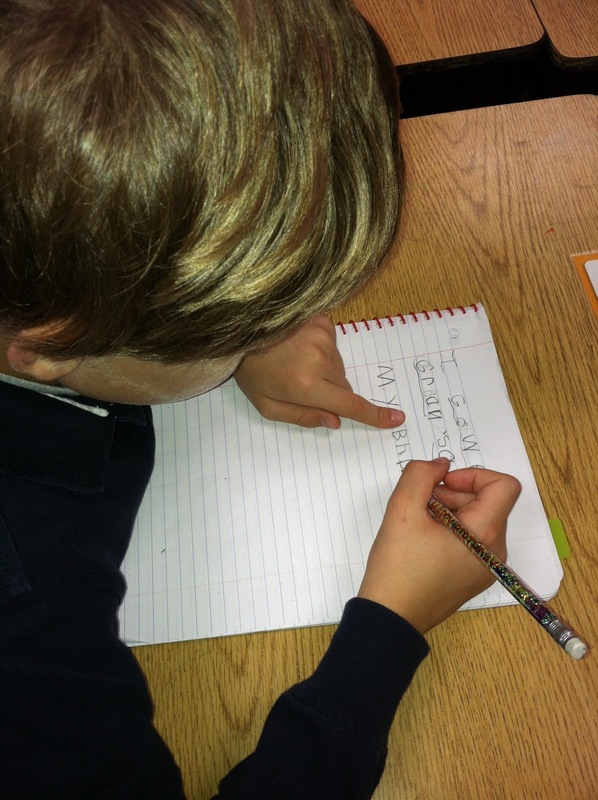 When your child is practicing writing at home have them show you their writing behaviors. Way to Go First Grade Friends!